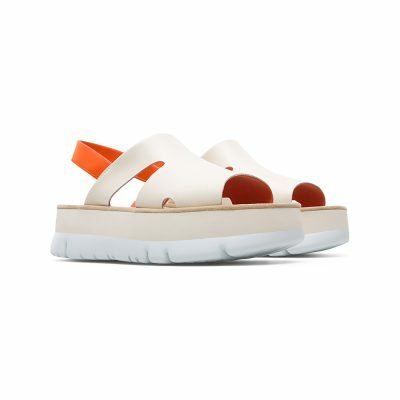 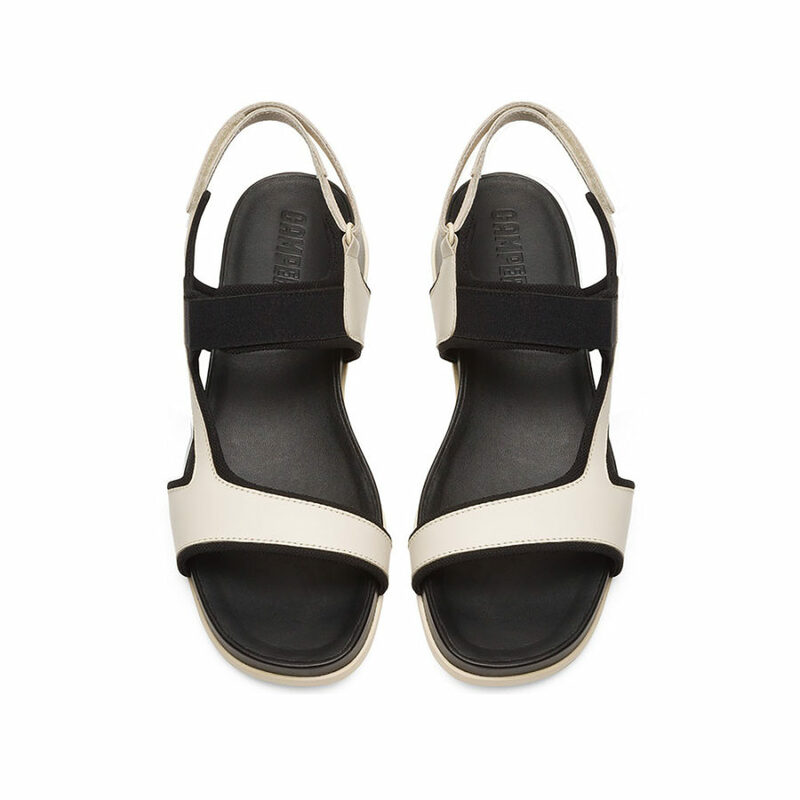 Camper Atonik sandal in smooth light beige leather. 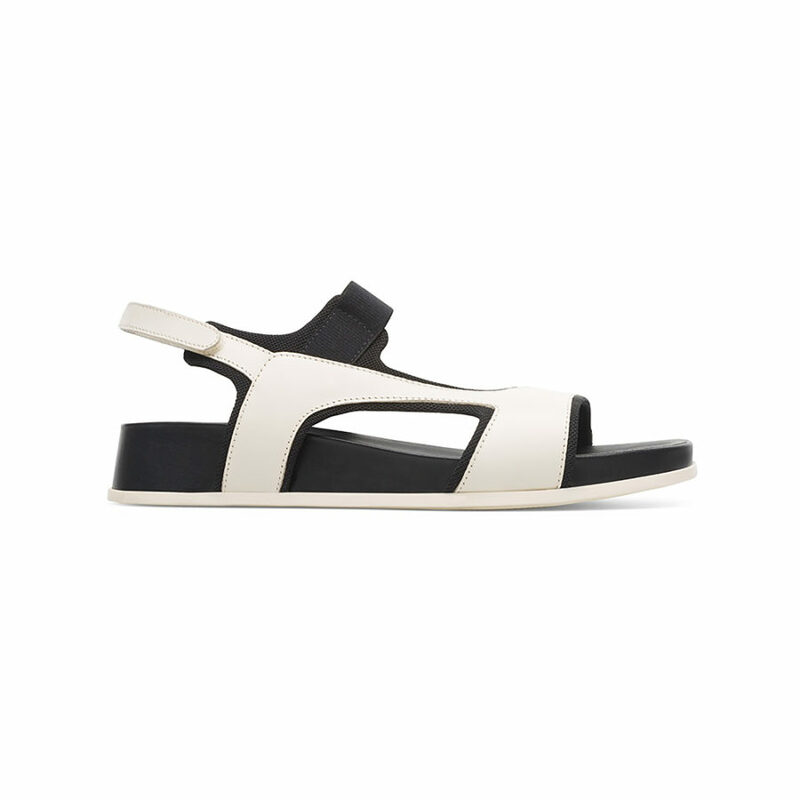 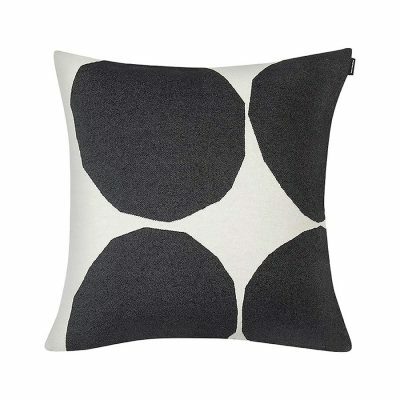 A feminine modern and minimalistic style that is very easy-to-wear with an ergonomic design. 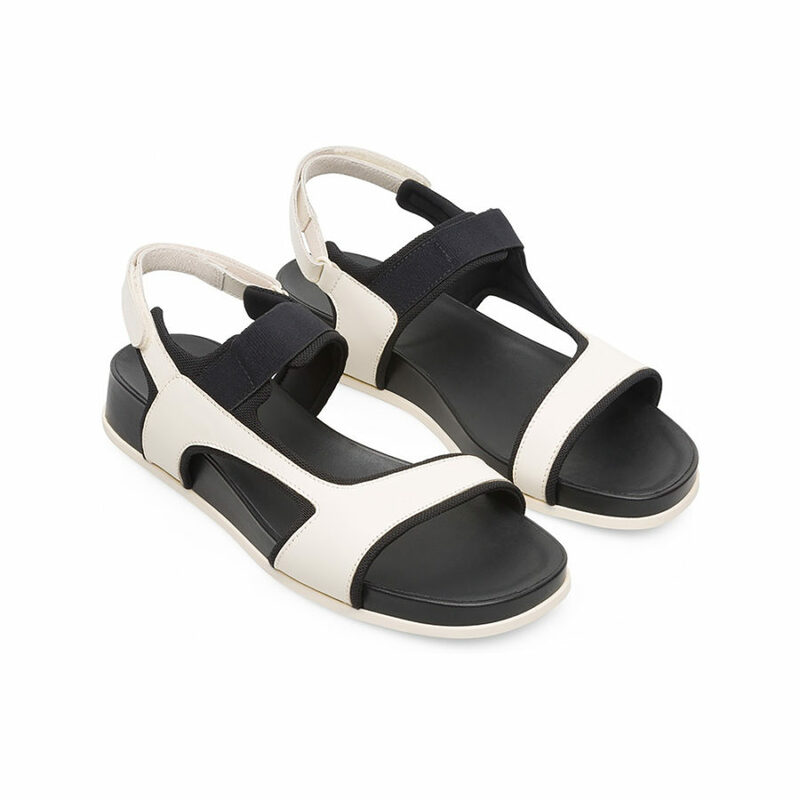 An elegant combination of smooth light beige leather and black elastics that is laid-back with an X-strap design that is very breathable. 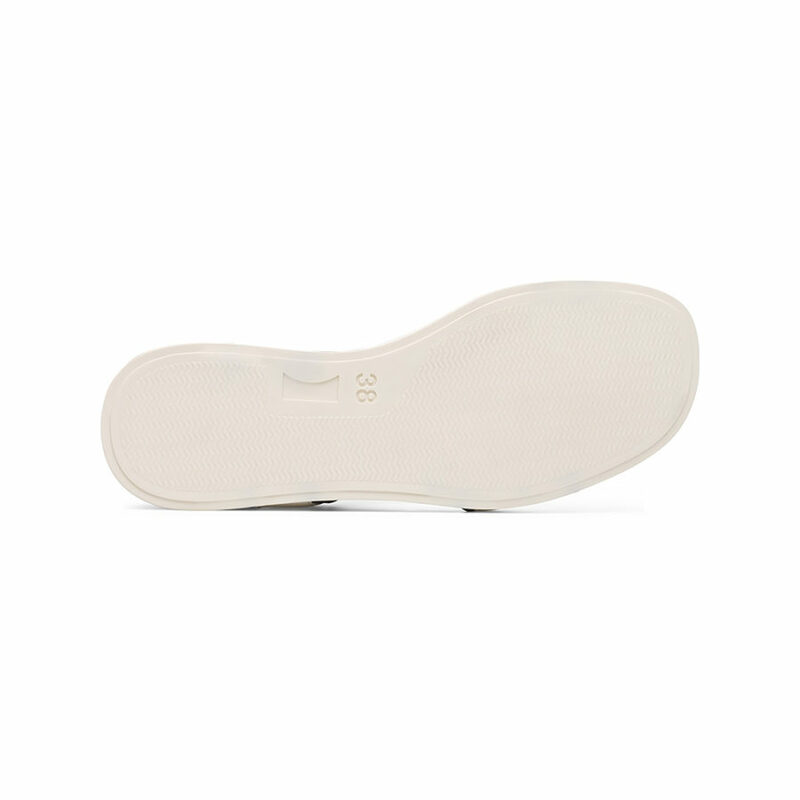 The 3cm wedge heel gives you an extra boost and anatomical footbeds keep your feet cushioned.